Degenerate Art Ensemble makes performance inspired by punk, comics cinema, protest, nightmares and fairy tales, propelled by the power of live music and our own style of visceral movement theater and dance. We are driven by the desire find new ways to connect and inspire people through uncompromising creative works. We are reaching out to you for your support. The truth is that we could not possibly do what we do without the support of our beautiful community. DAE is thrilled to have some truly life changing projects on our horizon, and we need your help to build a strong foundation as we plunge forward. After sold out premieres in San Francisco and Seattle, our newest work Predator Songstress has been booked for New York in 2017! We are also collaborating with Czech Punk legends Uz Jsme Doma for concerts with full orchestra in Prague, Seattle and San Francisco in 2016-17. And we are in the early planning stages for a major site specific epic to be commissioned by the Gettysburg National Monument to take place on the Gettysburg Battlefield in Pennsylvania! Help make DAE's backbone strong while we lean into these projects. We urgently need support for artist fees, studio rental, scenic storage, administrative support, artist fees, technician fees and ongoing equipment maintenance, scenic materials and video production costs. Your support will make this all happen! 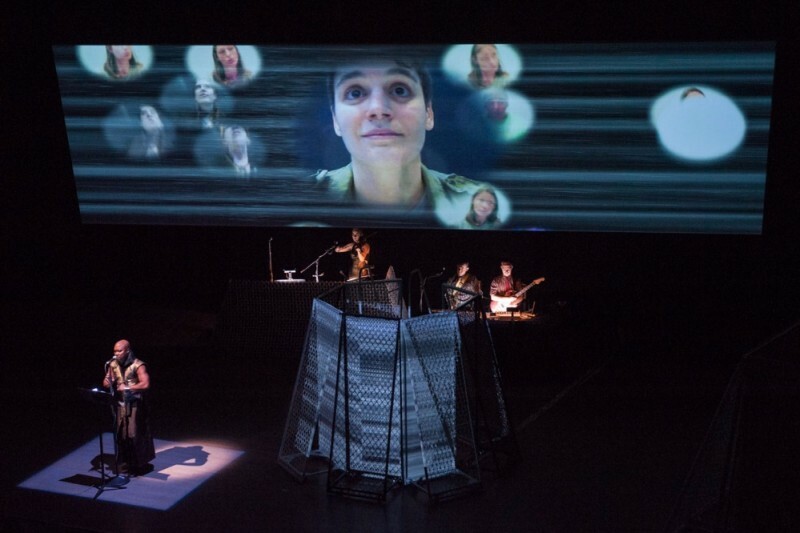 Your donation now will help us connect and catalyze the moving parts of these exciting chances to connect with audiences all over the US and the world. Our whole collaborative team asks for your support today. We are adding exciting rewards to this campaign! Get free album downloads. And soon to be added massages!!! We are grateful for your support!!! A huge thank you to @Yuka Hirota for supporting Degenerate Art Ensemble!!! We are on day two of our 2016-17 push!!! Crazy cel phone video for DAE song! Get a 90 minute massage at Seattle's amazing Q-Massage! $80 value. ONLY 3 Available!!!! Act fast! Get a copy of DAE's very first Art Book! A 90 minute massage from Capital Hill's amazing Q-Massage at your home or office! This is a $200 value. Only one award of this level is available.